reason #156 why I like homeschooling | eat. play. sleep. Today Ava finished her first project. 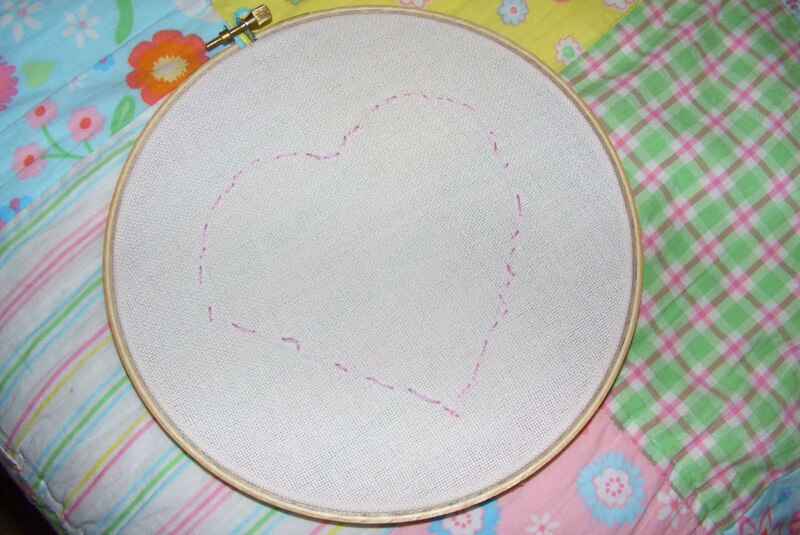 I drew a simple shape on some muslin, gave her a blunt needle and some floss, and let her go to town. It helped that I was working on my own project so she watched me stitch and then copied what I was doing. This is such a fun, inexpensive activity to do with kids. I found a great idea in Amanda Blake Soule’s new book to make bookmarks out of children’s artwork that has been embroidered. I can’t wait to try that out! 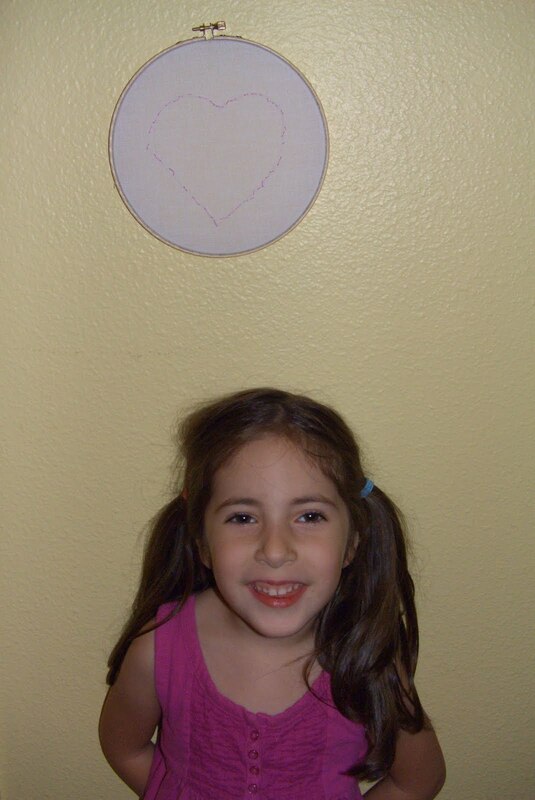 I hung Ava’s finished embroidery in her room. She’s so proud of her handiwork, and I’m so proud of her! 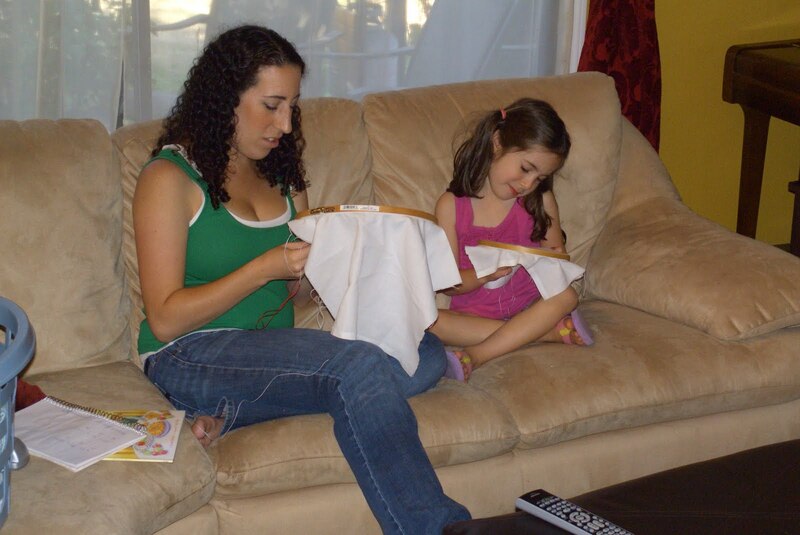 Maybe you and Ava could give an embroidery "guest lecture" at our little preschool group sometime! That's awesome! Great Job Ava! !